Taste test: These are really good barbecue chips. 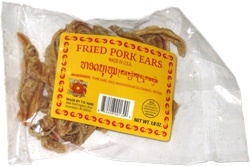 They're quite tasty at first, with a mixture of sweet barbecue and mild spices, and then they've got an aftertaste with just enough kick so that you can remember what you just ate for a while. Smell test: These have a real nice, sweet and spicy barbecue smell. Very barbecuey. 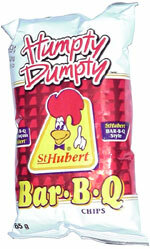 Trivia: St. Hubert is a chain of chicken restaurants in Canada, a country known locally as "Canadia"